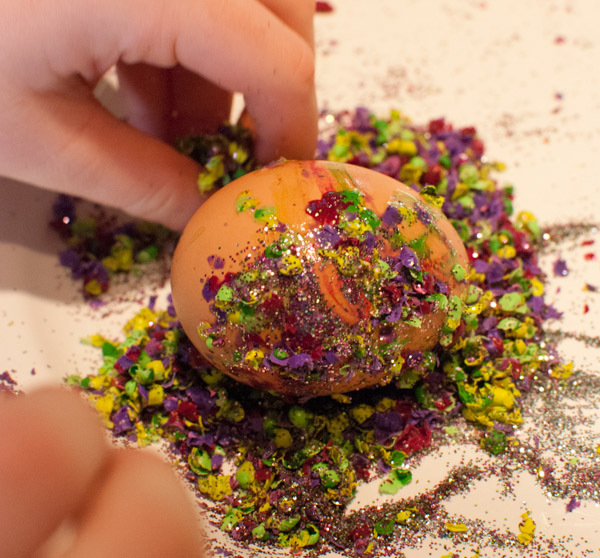 Use your old broken crayons to color your Easter eggs. 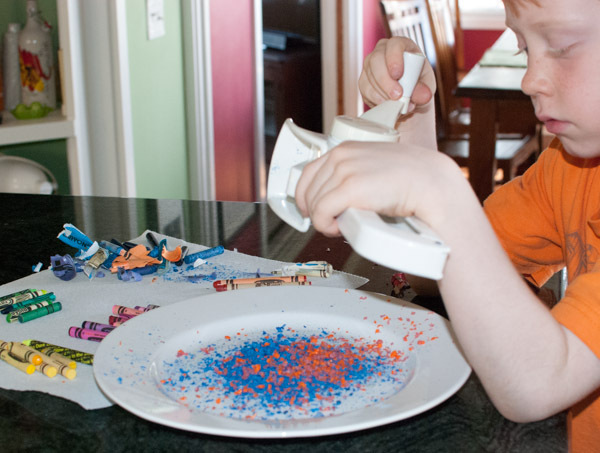 Luca couldn’t decide what was more fun, grinding up the crayons or coloring the eggs! Most of our chickens lay brown eggs so we are always looking for fun ways to color them. 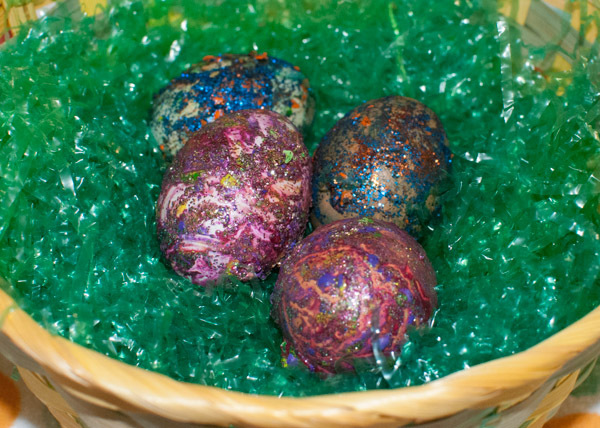 This one worked well, transforming our darker eggs into sparkly, colorful Easter eggs. Peel your old, broken crayons and separate into different colors. Have your child chose two or three colors. Use a cheese grater to shave the crayons into small bits. Options: add glitter to the piles of shavings. If you are using eggs that have just been hard boiled, let them cool slightly so they will not burn your child. 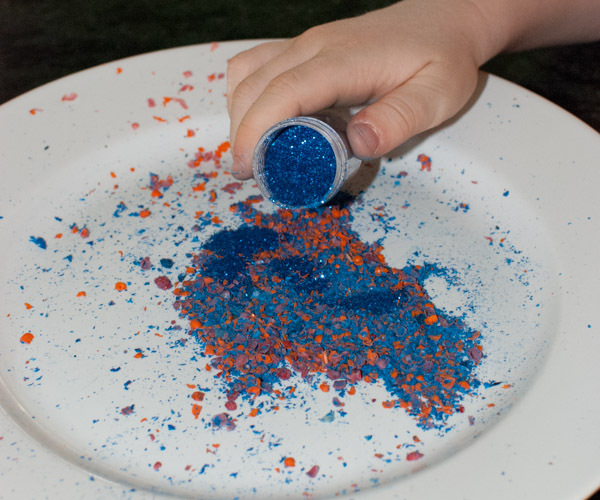 Place the warm egg into the pile of shaving and glitter, and then roll around. Let the egg cool and wipe off any extra shavings. Have all of you materials ready before you being boiling the eggs, as you will want the eggs to be warm. Alternatively, rewarm an already cooked egg in hot water so that it will make the crayon shavings melt. I can’t vouch for the food-safety of this process, so please use these rewarmed eggs for decoration only. This entry was posted on March 7, 2013 by mdaucello in Crafts, Easter and tagged craft, Crayon, decorate, Easter, eggs.